There are dozens of amazing Qur'an applications on mobile devices, and some great ones online for all devices (like the awesome quran.com) — but there was nothing up-to-date that targeted desktop computers/laptops with only useful features (without excess) and beautiful design. There is a wide selection of Qur'an apps for mobile devices, but when it comes to computers there are almost no apps that balance powerful features with a focused reading experience and beautiful interface. Qawl aims to change that. 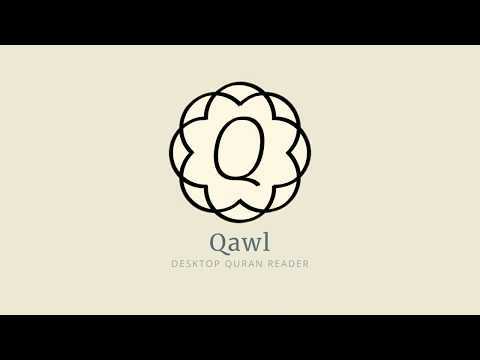 Qawl is a Qur’an reader made specially for desktop/laptop computers. It brings the popular Madina mu? ?af to digital platforms — combining the time-tested effectiveness of the mushaf with the benefits of technology. Qawl was added by Se7enTime in Oct 2018 and the latest update was made in Oct 2018. The list of alternatives was updated Oct 2018 There is a history of all activites on Qawl in our Activity Log. It's possible to update the information on Qawl or report it as discontinued, duplicated or spam. Alternatives to Qawl for Windows, Mac, Linux, Web, Android and more. Filter by license to discover only free or Open Source alternatives. This list contains a total of 5 apps similar to Qawl. No reviews yet for Qawl, want to be first? Maybe you want to be the first to submit a comment about Qawl? Just click the button up to your right!